A local woman was rescued in West Islip today as she attempted to take her own life by jumping off of the Robert Moses Bridge. Earlier this morning, Suffolk County Police Officers Kevin Krause and Don Lettieri rescued an anonymous 43 year old woman that was attempting to take her own life by jumping off of the Robert Moses Bridge in West Islip. 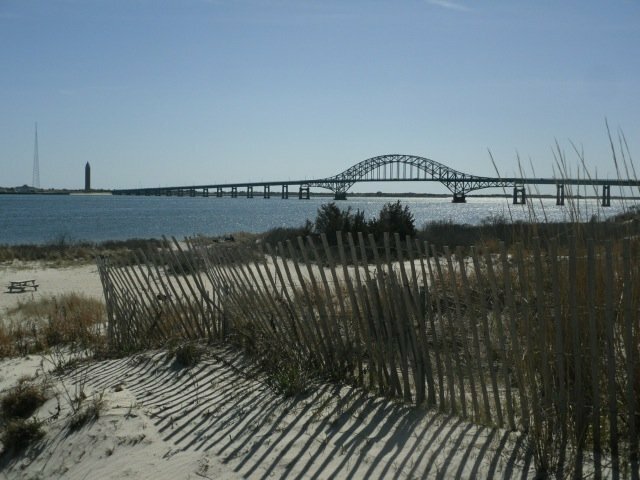 At around 10:55 AM this morning, the officers were out on regular patrol when a passerby alerted them to the fact that there was a woman was attempting to climb over the safety wall on the Robert Moses Bridge. At about the same time as the officers were responding, a family member called 911 to report concern for the woman's safety - she had posted a suicide note on Facebook stating her intention to take her own life by jumping off of the Robert Moses Bridge. There is no further information about the woman's motives. Thankfully the officers arrived in the knick of time, and were able to grab the woman and pull her to safety before it was too late. The woman was later transported to Stony Brook University Hospital for evaluation, and no further details about her condition have been reported at this time. Subject: LongIsland.com - Your Name sent you Article details of "SCPD Marine Bureau Officers Rescue Woman From Suicide Attempt on Robert Moses Bridge"